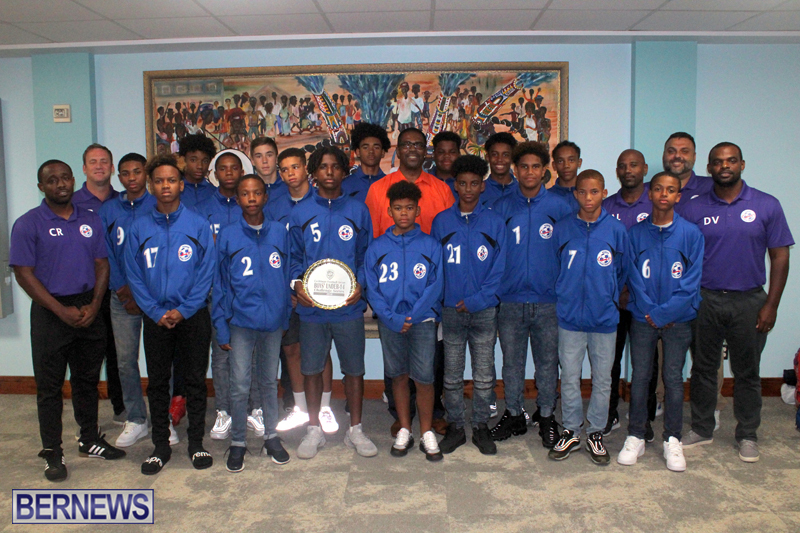 The Bermuda Under 14 Football Team returned home this evening [Aug 23] after making an exceptional showing at the Caribbean Football Union Boys’ U14 Challenge Series in the Cayman Islands, winning all three of their matches to maintain an undefeated record. 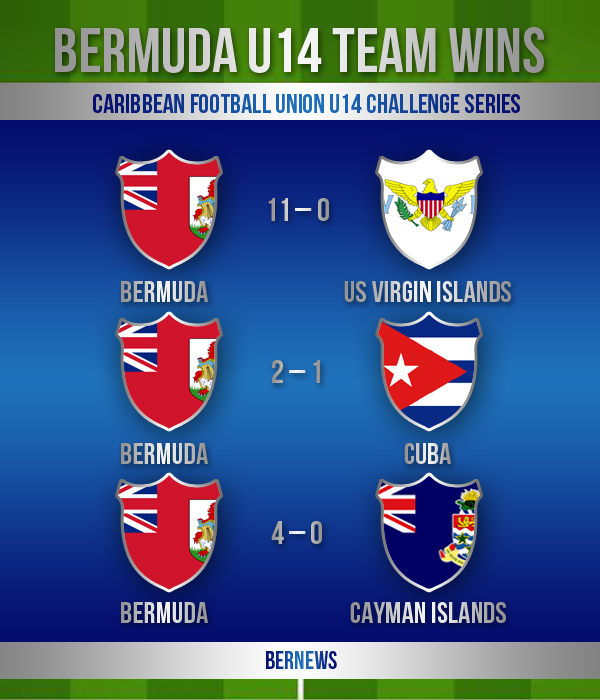 The team hammered the US Virgin Islands by a score of 11-0, defeated Cuba by a score 2 – 1, and also claimed a 4 – 0 win over Cayman, meaning that throughout the tournament, the team scored a total of 17 goals and conceded only one. We will have additional coverage later on and in the meantime the live video is below. Update: The Bermuda team was met at the LF Wade International Airport by the Minister of Sports Michael Weeks, Director of Youth, Sports & Recreation Norbert Simons,Bermuda Football Association President Mark Wade, Executive Members as well as their family and friends.